The theming of Big Thunder Mountain is great! Hello, and thanks for stopping by as we continue our Disney World Countdown! 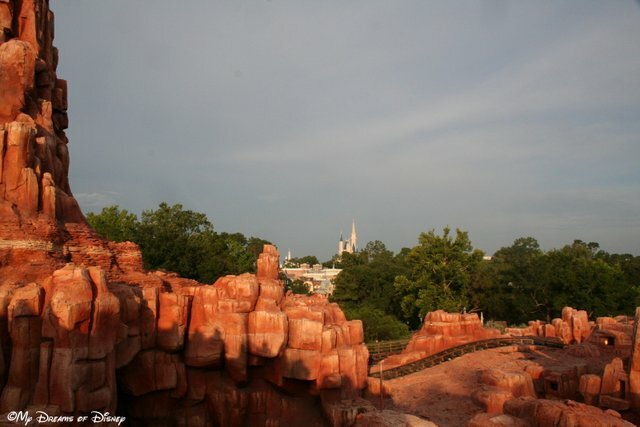 Today we are looking at Big Thunder Mountain Railroad, that great roller coaster located in the Magic Kingdom. This is a fun roller coaster, and for timid roller coaster fans, I don’t think it’s a majorly scary one, so if you were going to try one roller coaster at Disney, I would suggest this one! This is a favorite shot of mine because it is like the train is just flying around the corner! 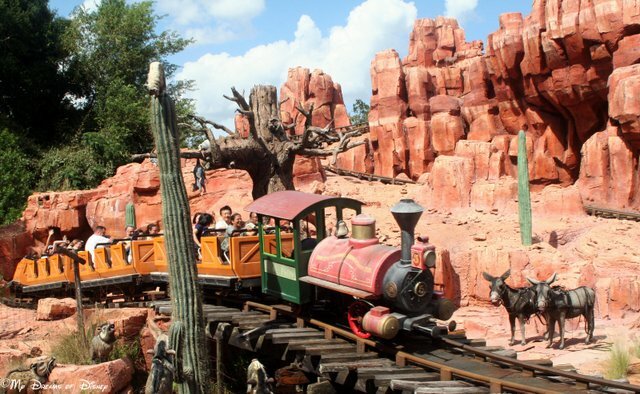 There are a lot of fun things about Big Thunder Mountain Railroad, and to truly see all of them, I suggest that you ride it both during the day and at night. At night it is particularly fun because the darkness adds another dimension to the attraction, including the dancing girls that can be seen on the 2nd floor of the saloon when you pass through town! I like this shot — you can see Cinderella Castle from Big Thunder Mountain! Another thing I like is that, at night, if you take time to ride Big Thunder Mountain Railroad during Wishes, you’ll literally just walk right on, and on top of it, during the ride, you’ll be able to see some of the fireworks from the show! 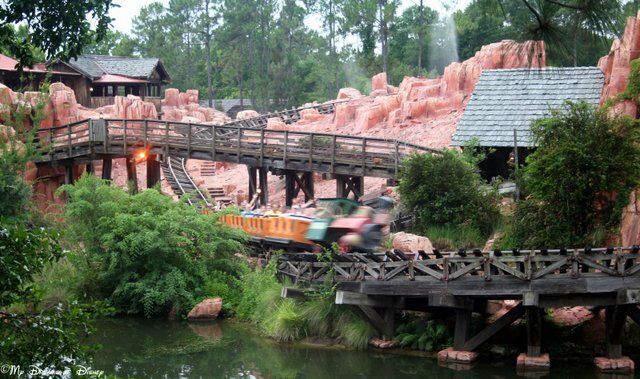 Big Thunder Mountain is one of my favorite roller coasters, is it on your favorite list too? Let me know, and thanks for stopping by!